An Emma Shipley Odin scarf: Arctic foxes with winged helmets and feet! Frightfully expensive (£355) but idiosyncratic and beautiful. Yikes, that is about $640 in $CDN (for a 55 inch by 78 inch rectangle), plus shipping and those ghastly customs duties, for modal, aka rayon. A high-end rayon, but still, The Scarf Is Too Damn High, girls. A reader e-mailed me in early summer about an Etro scarf she was eying with a similar price point to the Odin, and I said the same thing: rayon should not ring in above a good weight silk. 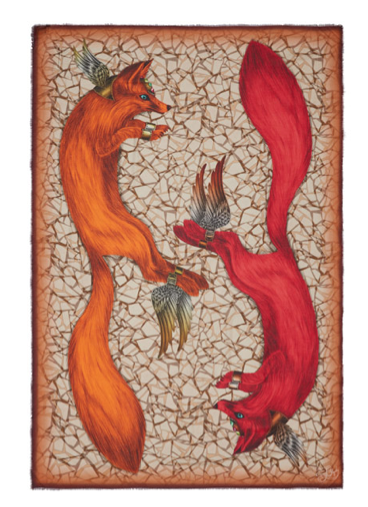 I found a designer, FineArtSilk, on Etsy who has a category for scarves featuring foxes and owls. Soul sister! What do you think of Foxes on Gray? Price is $75 plus shipping, and it is 100% silk. It has a naive charm but is not a natural fit with my wardrobe. Closer to my palette is the scene of naughty foxes on Karen Mabon's 35-in. "Midnight Feast" silk square (also from Liberty), with an unusual teal, tomato, grey and black colourway and offbeat theme; the price, £110, is not crazy. Hermès, "Chasse au Bois" features a pretty fox; I found a classic carré on eBay for around $US295. No question, I would wear it. 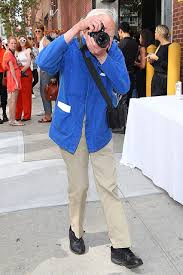 The medieval, costly Odin is out; the hand-painted owls probably too artsy-crafty, the midnight munchers tempting, and I have abiding affection for the quality and refined palette of Hermès—but wearing that means many others stay in the drawer. What to do? In the meantime, at a corner vintage shop, I picked up a small Pucci-esque silk square, in new condition, for $10. No foxes, but a lively little tweakette. Agree that the first scarf is way overpriced for rayon, and the second doesn't seem to fit your style, at least as I see it from the Internet. My concern with "Midnight Feast" is that when tied, it would show mostly the apple cores or the pasta/shrimp/whatever those round things are! I'd buy the "Chasse au Bois." The Scarf Is Too Damn High, LOL!! No kidding. I do like the Liberty, pretty and whimsical. Nice Pucci find, though! I never find the high end scarves in thrift/resale stores here...probably too many savvy pickers in our part of the world. 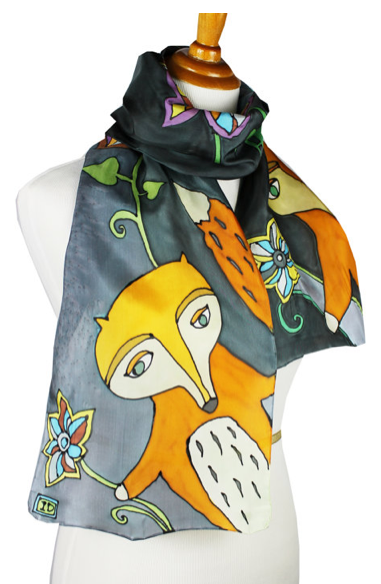 What fun to go scarf-shopping with you, especially with a theme of foxes and owls. And how great that you were able to scratch that itch, if temporarily, with a pretty little silk scarf at the scarcely-more-than-a-cup-of-coffee price of $10! Love the foxes but really love the Pucci-esque find! I enjoyed seeing the ones with foxes...thanks for sharing! Wow that Odin scarf is out of my league too! I like your new scarf and for a very small investment you can wear it with joy and use the money you saved for something else! Who knew that you love foxes! bought a shawl/scarf 90% modal, 10% cashmere, Italian made, colors in swirls of Monet's gardens, pricey--oh how sad I was. When worn ,it wrinkled a lot, and wore like an old rag---enjoyed your foxes. 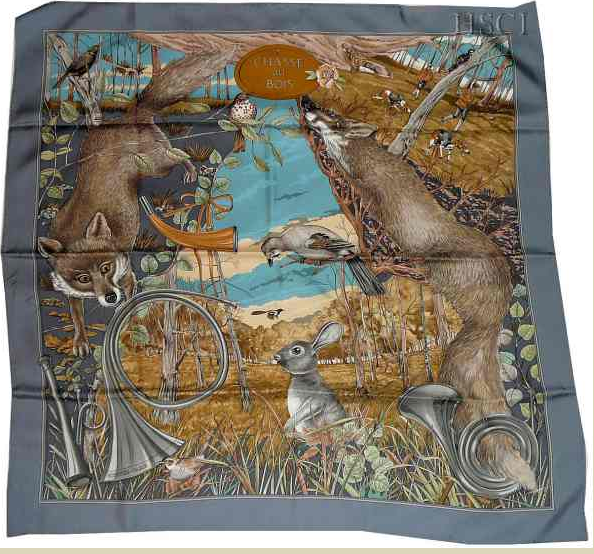 I adore the Hermes hunting scarf--the more graphic, the more I like 'em. Perhaps that's because I now live in "sportsman's Paradise." 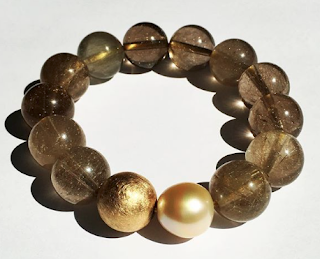 UGH--as to modal or even natural fibers--so often the price has no relation to quality. At least you know that the Hermes silk would last and last. 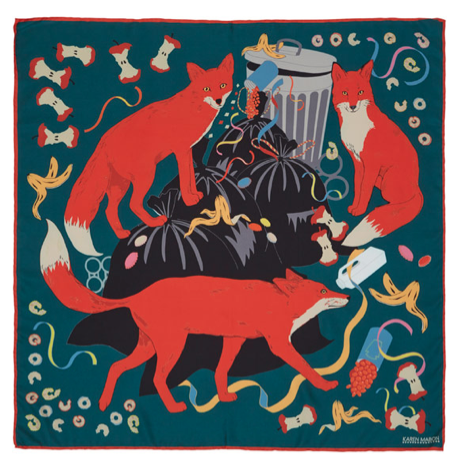 I LOVE the Liberty scarf with the foxes. Just love it! Yup, I vote for the Midnight Foxes too. That dark bricky red colour would go beautifully with your hair and foxes are super-cute. You could always plan a wee trip over to England... we've infested with cute animal themed clothes and accessories and homewares. Foxes, owls and more are cropping up all over! Sewing Librarian: Thanks for pointing that out; I have several scarves where the interesting centre design gets lost (which in those cases is OK) but I don't love the apple cores. Yes, the second scarf is not me but on another women I would probably like it. unefemme: I'd say our pickers are savvy too; it's not often I find a silk scarf with no issues and my colours. Marilyn: I am sorry for your scarf's degradation, when clothing does not return its cost, galling! Frugal: Very thrummy toward the Hermès but I still have many am determined to wear more. 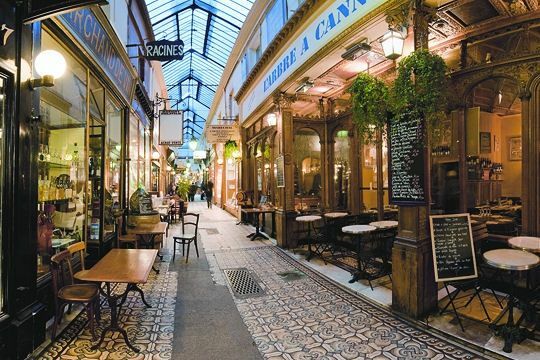 eleanorjane: Now here is where that prescriptive shopping that I wrote about several days ago would come in handy. If Midnight Foxes just showed up on my doorstep I'd likely fall for it. I don't like "cute", so would avoid a fox-head a tea cosy or fox-printed sweater. I'm picky about where my critters cavort. LPC: Foxes like me, too. Some people are very allergic to Modal. Ah,the joys of the consolation prize--though in this case, all the real-silk subs seem more satisfying than the rayon scarf. It would be hard to choose among those three--so appealing in very different ways. Nice vintage pick-up, meanwhile. That's how I find most scarves myself--most recently an old Perry Ellis with violet-black ravens on a dark green background! I have to be careful about that kind of stuff as I was a child who declared that she was a cat when she was about two (that's why I'm lagatta). Of course I also love foxes and owls, the same kind of solitary carnivores. (Foxes are canines but they hunt more like felines than wolves or dogs). Is there any way to wear cats as a totemic animal without horrible kitschy cuteness, insufferable in women in the passage? That Odin scarf is lovely, too bad it's so over priced. As you know, I've been tempted in that direction and reined in by some wise advice. The Midnight Feast is energetic and cheeky but if you don't like the apple cores - enough said.. If you love the Hermes, why not sell one that you're not wearing to make room? For those in Toronto, the semi-annual Kalabander scarf pop up is now on at 67 Sullivan Street..some lovely things. Remember that they are new to other people! At a local shop just now, ran into a lovely young couple. She was wearing a splendid fur - think it was a mink, or some similar beast. It was obviously far older than she was, though in good condition. No, it wasn't her mother's or grandmother's, but a relative of hers had worked at a care home and an elderly lady had just discarded it. She gave it a new life (without killing anything new) and will stay warm this winter and look retro-chic. I've been hunting for very inexpensive vintage scarves lately; not for me, but I volunteer at Dress for Success and lately our location has been very low on scarves (which are part of our interview suiting, normally). As our inventory is largely dependent on donations, we sometimes run out of certain items. I thought if I could find decent scarves for a dollar or two, I could buy a bunch & donate them. So far no luck! Need to redouble my efforts & search more resale shops. Jill Ann, also try church and other charity bazaars. Some, of course, are much better than others. I love foxes, too! And their russet fur goes with your color way. I always have a problem wearing "pictures", especially with animals and birds, for some reason. I do really like your little Pucci-esque find though. Maybe you'd like an abstract, foxy-feel scarf that isn't so graphic? C.: Oh, I'd like to see that! Terrific find. I also love ravens. lagtta: Your idea is excellent and now is the time when many churches have winter jumble sales. Swissy: I have Hermès scarves with animals- one with a rabbit (in a hat! That is "La Magie", one of my all time favourites), others with bird, bees and of course horses. Their animal designs are highly realistic. And I am certainly open to 'abstract fox'! Yes, I love to see those scarves, such as "La Magie"..on others! They really are beautiful and charming. Duchesse, just looking through Anthropologie's Christmas ornaments, I noticed a very self-contained mercury glass fox, and realized why you may feel a particular affinity: that vixen looked a lot like you! P.S. My ravens may actually be Brewer's Blackbirds, now that I look at them again--they have white eyes--but ravens sound so much wilder, I'm sticking with them. Would this stand in for your fox fetish? I was amused by this fox, but not apt to wear it, as the crafty look is not me- one of those effects that at 65+, are best left to others. You led me to pondering the proliferation of cute, crafted animal-themed clothing and accessories found on Etsy, some of them charming and well-made like this scarf. That market is large and skews young. I love foxes too(it's their pointy faces and intelligent eyes)-I've even forgiven the one that took my hens once! Owls are a favourite too-the eyes,again! I still regret the giving away(in the mid-70s)of a russet faux suede coat with faux fox trimmed hood and hemline-the colour was GORGEOUS!! Aless: Those are the characteristics that attract me, too. There is a category of "things given away" that, one day, we remember with a pang. We can only hope the new owner enjoys them.